Processing time before shipping is 1-2 weeks. 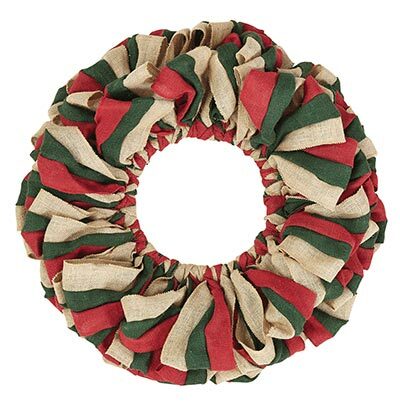 20 inch Red, Natural and Green Burlap Wreath, by Nancy's Nook for VHC Brands. 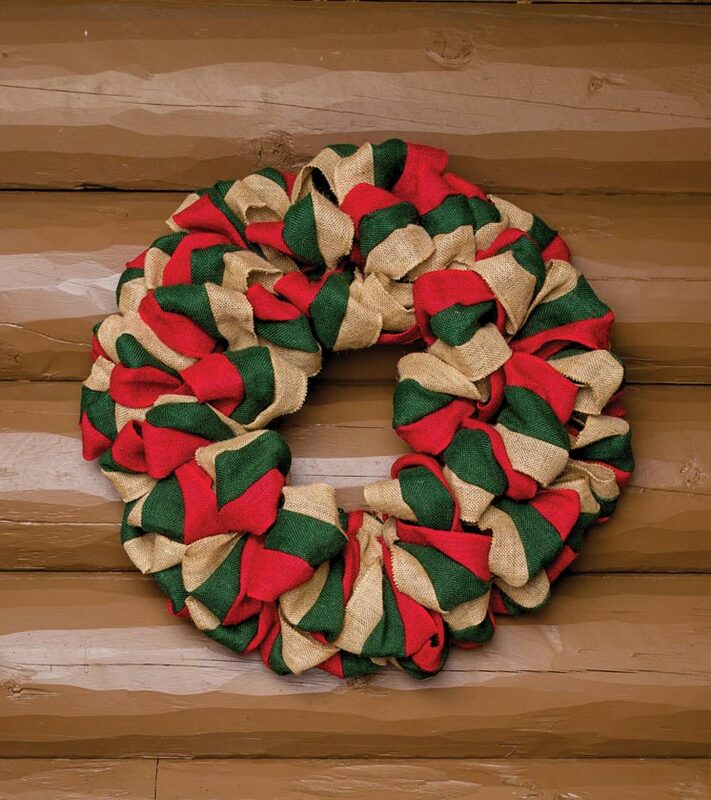 These hand-looped, versatile burlap wreaths present a simple, understated arrangement. 15 inch Natural Burlap Wreath, by Nancy's Nook for VHC Brands. These hand-looped, versatile burlap wreaths present a simple, understated arrangement that can be used year round. The Festive Red Burlap Ruffled Long Stocking lends a rustic yet traditional touch to your holiday decor - use as is, or embellish with your personal touch! 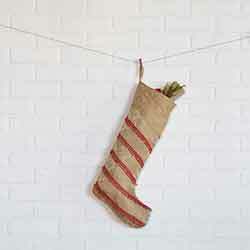 Burlap Christmas Stocking with Reverse Seam, by VHC Brands. Add a neutral, rustic look to your decor with our cotton burlap stocking! Reverse seams add a unique textural element. Burlap Christmas Tree Skirt, by VHC Brands. A versatile neutral choice over traditional holiday colors, our Mini Burlap Christmas Tree Skirt has a great natural look that coordinates beautifully with just about any Christmas decor style! Burlap Christmas Tree Skirt with Reverse Seam, by VHC Brands. A versatile neutral choice over traditional holiday colors, this burlap skirt has a great textural element with it's reverse seam details. 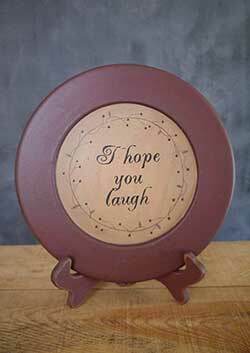 Coordinates beautifully with just about any Christmas decor style! Burlap Creme Garland / Ribbon, by Nancy's Nook. 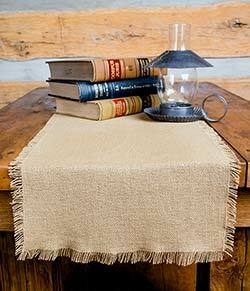 The Burlap Collection is a soft, cotton woven burlap in a creme color and features fringed edges. This is for the Garland. Measures 2 x 144 inches (12 feet). 100% cotton. Machine washable. Coordinates many other Victorian Heart Collections! Other pieces also available. Burlap Creme Garland / Ribbon, by Nancy's Nook. The Burlap Collection is a soft, cotton woven burlap in a creme color and features fringed edges. 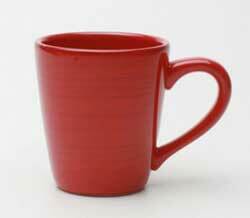 This is for the Garland. Measures 2 x 108 inches (9 feet). 100% cotton. Machine washable. Coordinates many other Victorian Heart Collections! Other pieces also available. Burlap Mini Christmas Tree Skirt, by VHC Brands. A versatile neutral choice over traditional holiday colors, our Mini Burlap Christmas Tree Skirt has a great natural look that coordinates beautifully with just about any Christmas decor style! Burlap Mini Christmas Tree Skirt with Reverse Seam, by VHC Brands. A versatile neutral choice over traditional holiday colors, this mini burlap skirt has a great textural element with it's reverse seam details. 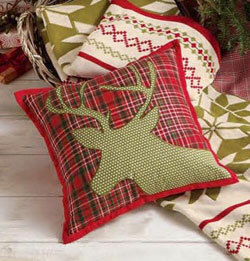 Coordinates beautifully with just about any Christmas decor style! Burlap Natural Garland / Ribbon, by Nancy's Nook. The Burlap Collection is a soft, cotton woven burlap adding a natural look that coordinates beautiful with almost any decorating style! This is for the Garland, which ha fringed edges. This one measures approx 12 feet long (144 inches), and is about 3 inches wide. 100% cotton. Shorter, 9 foot size also available! Other colors too! Burlap Natural Garland / Ribbon, by Nancy's Nook. The Burlap Collection is a soft, cotton woven burlap adding a natural look that coordinates beautiful with almost any decorating style! 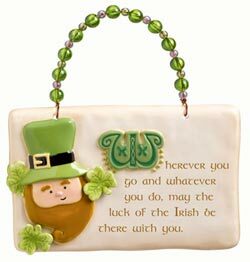 This is for the Garland, which ha fringed edges. This one measures approx 9 feet long (108 inches), and is about 3 inches wide. 100% cotton. Longer, 12 foot size also available! Other colors too! Burlap Snowman Ornaments (Set of 6), by VHC Brands. This adorable set of burlap snowmen add a perfect touch to your holiday tree or garland! 15 inch Green Burlap Wreath, by Nancy's Nook for VHC Brands. These hand-looped, versatile burlap wreaths present a simple, understated arrangement that can be used year round. 20 inch Green Burlap Wreath, by Nancy's Nook for VHC Brands. These hand-looped, versatile burlap wreaths present a simple, understated arrangement that can be used year round. 15 inch Red Burlap Wreath, by Nancy's Nook for VHC Brands. These hand-looped, versatile burlap wreaths present a simple, understated arrangement that can be used year round. 20 inch Red Burlap Wreath, by Nancy's Nook for VHC Brands. These hand-looped, versatile burlap wreaths present a simple, understated arrangement that can be used year round. 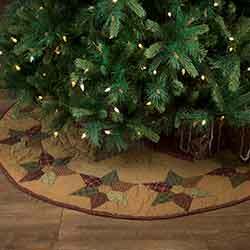 A timeless holiday accent for any Christmas decorating theme, the Festive Natural Burlap 48 inch Tree Skirt features a natural tone and a fringed edge. A timeless holiday accent for any Christmas decorating theme, the Festive Natural Burlap Mini Tree Skirt features a natural tone and a fringed edge. A timeless holiday accent for any Christmas decorating theme, the Festive Natural Burlap Ruffled Mini Tree Skirt features a natural tone and layers of ruffles. A timeless holiday accent for any Christmas theme, the Festive Natural Burlap Ruffled 48 inch Christmas Tree Skirt features a natural tone and layers of ruffles. The Festive Natural Burlap Ruffled Stocking lends a rustic farmhouse touch to your Christmas decor - use as is, or embellish with your personal touch! The Festive Natural Burlap Ruffled Long Stocking lends a rustic farmhouse touch to your Christmas decor - use as is, or embellish with your personal touch! The Festive Natural Burlap Stocking lends a rustic farmhouse touch to your Christmas decor - use as is, or embellish with your personal touch! The Festive Natural Burlap Long Stocking lends a rustic farmhouse touch to your Christmas decor - use as is, or embellish with your personal touch! The Festive Red Burlap Stocking lends a rustic yet traditional touch to your holiday decor - use as is, or embellish with your personal touch! The Festive Red Burlap Long Stocking lends a rustic yet traditional touch to your holiday decor - use as is, or embellish with your personal touch! 15 inch Red and Natural Burlap Wreath, by Nancy's Nook for VHC Brands. 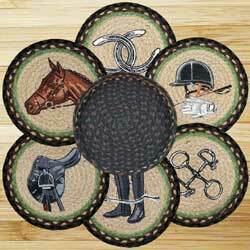 These hand-looped, versatile burlap wreaths present a simple, understated arrangement. 20 inch Red and Natural Burlap Wreath, by Nancy's Nook for VHC Brands. These hand-looped, versatile burlap wreaths present a simple, understated arrangement. 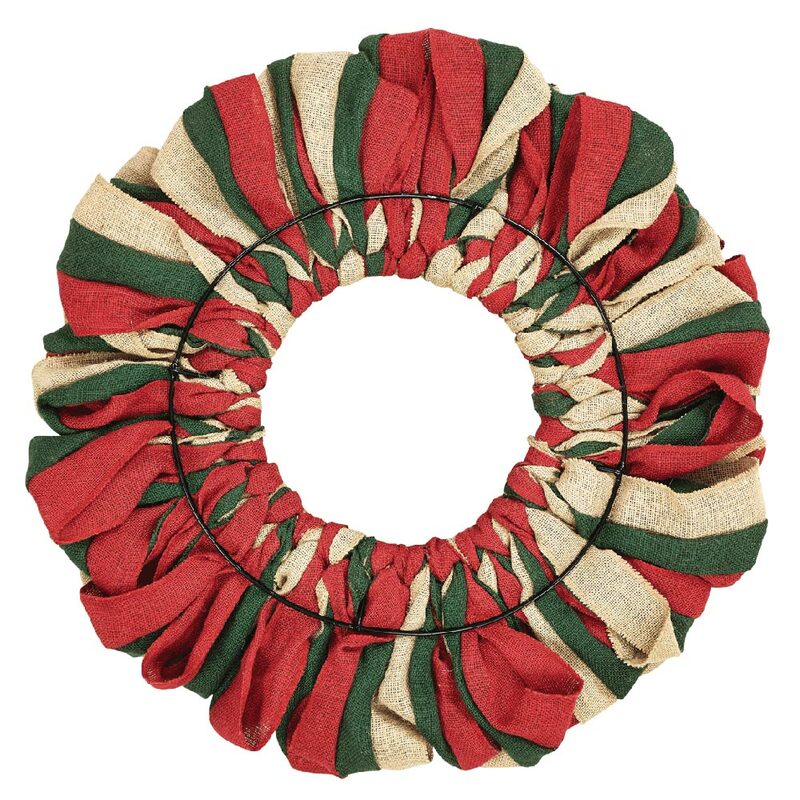 15 inch Red, Natural and Green Burlap Wreath, by Nancy's Nook for VHC Brands. These hand-looped, versatile burlap wreaths present a simple, understated arrangement. Known as the Christmas Flower, poinsettias are paired with holly berries on a jute base to impart the warmth and tradition of the holiday.